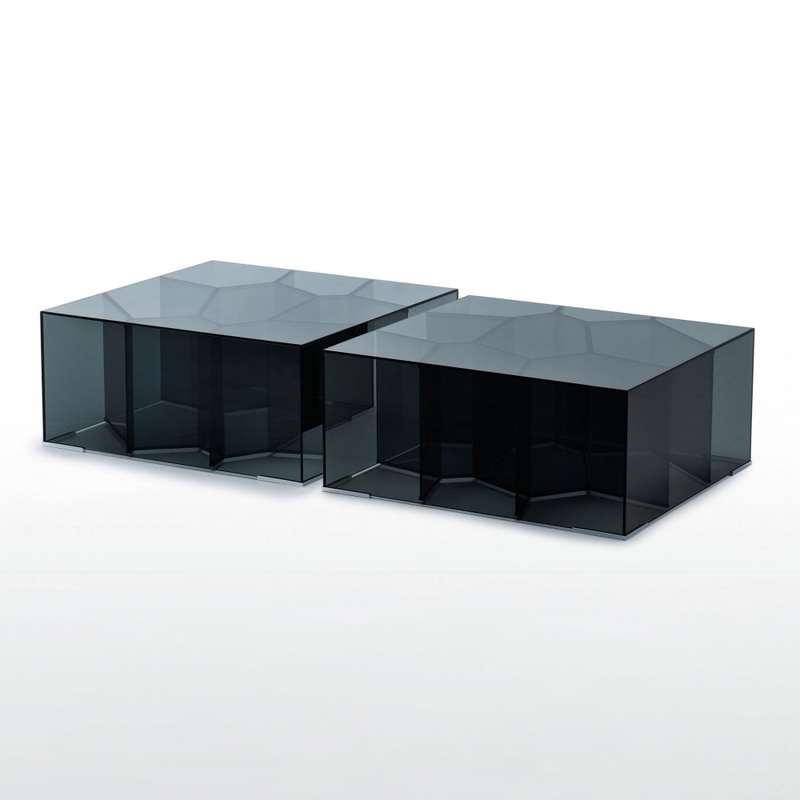 Low table in a choice of dimensions designed by Jean-Marie Massaud. In 6mm tempered smoked glass, glued 45°, inside contains a complex honeycomb structure. Four little chromium-plated feet slightly raise up from the ground.